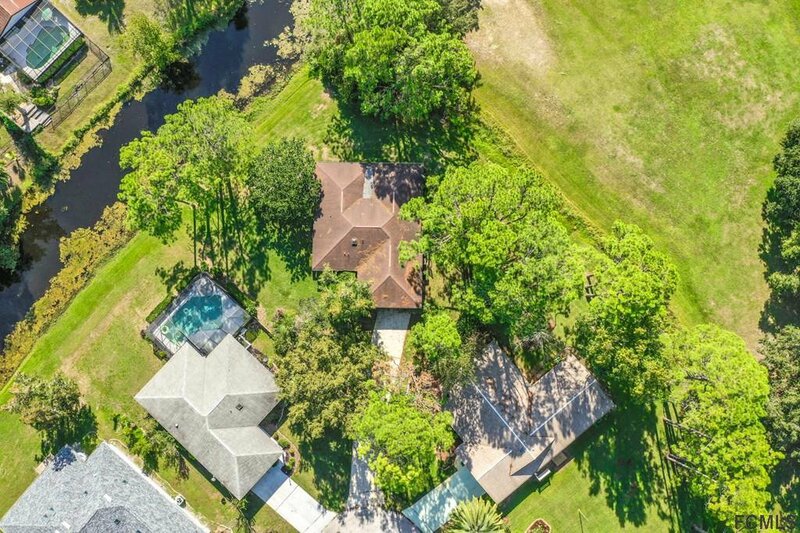 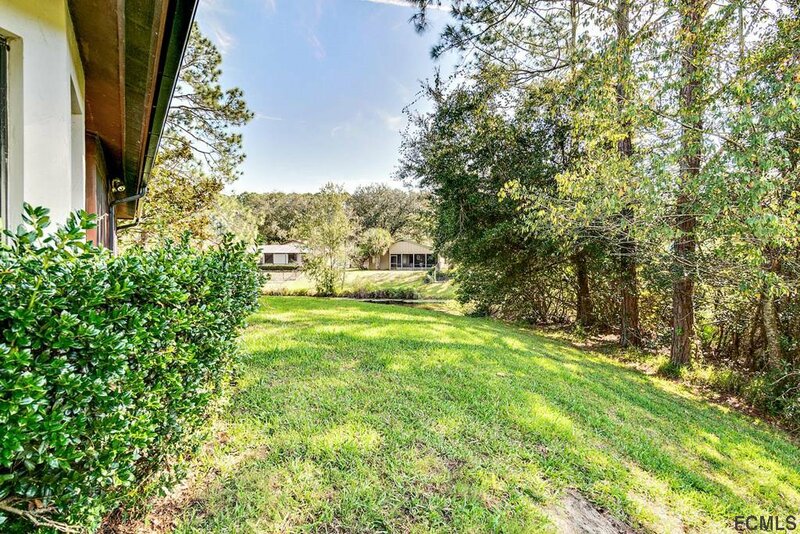 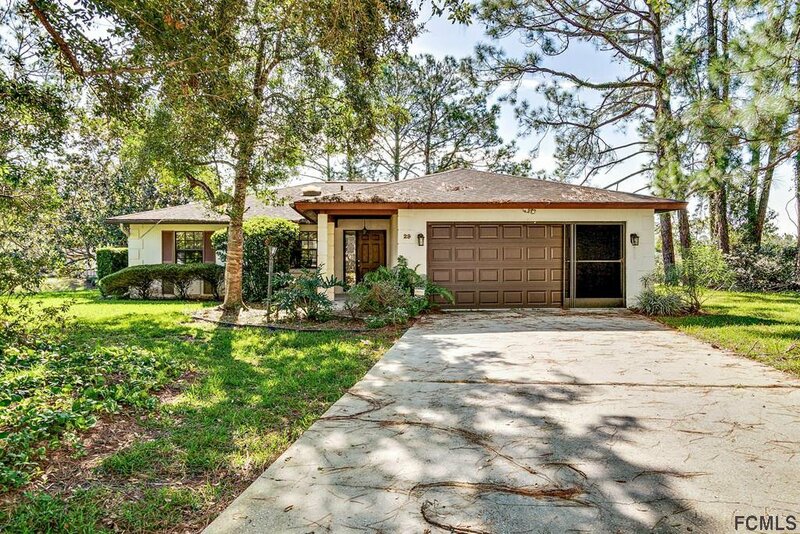 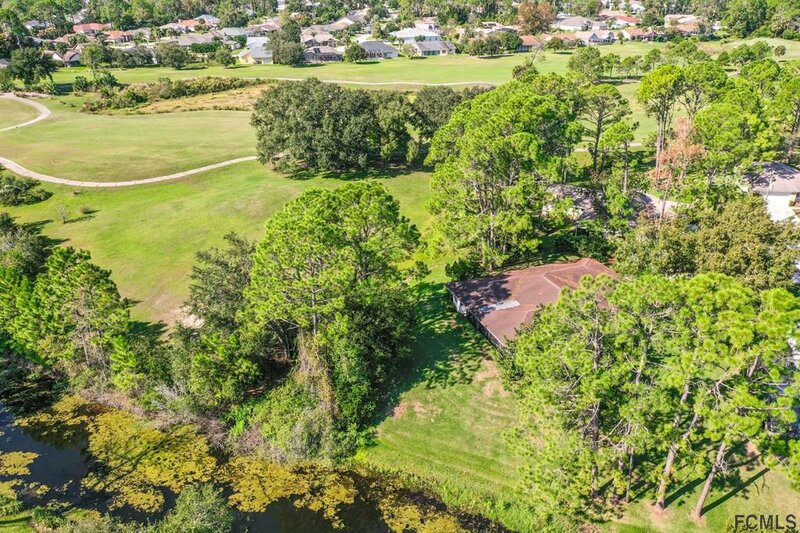 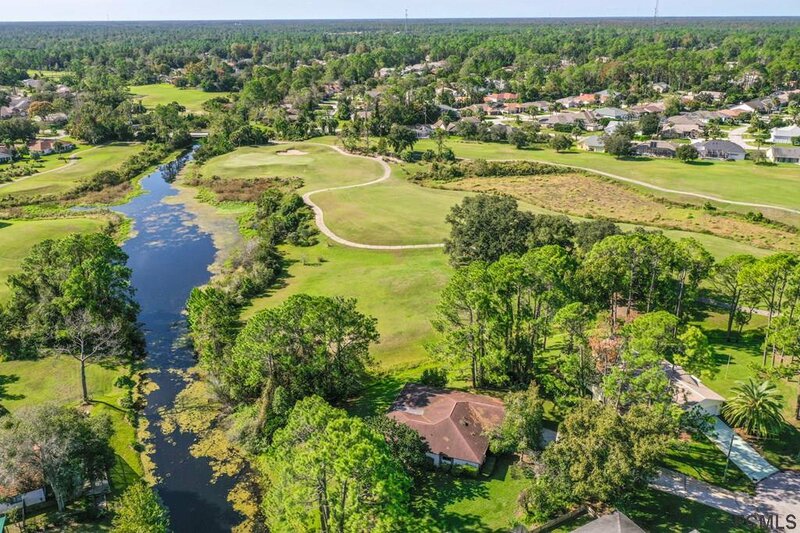 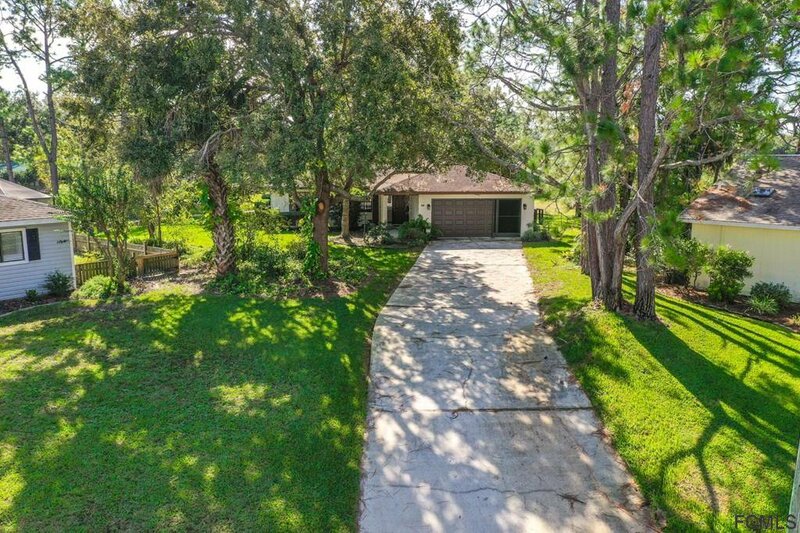 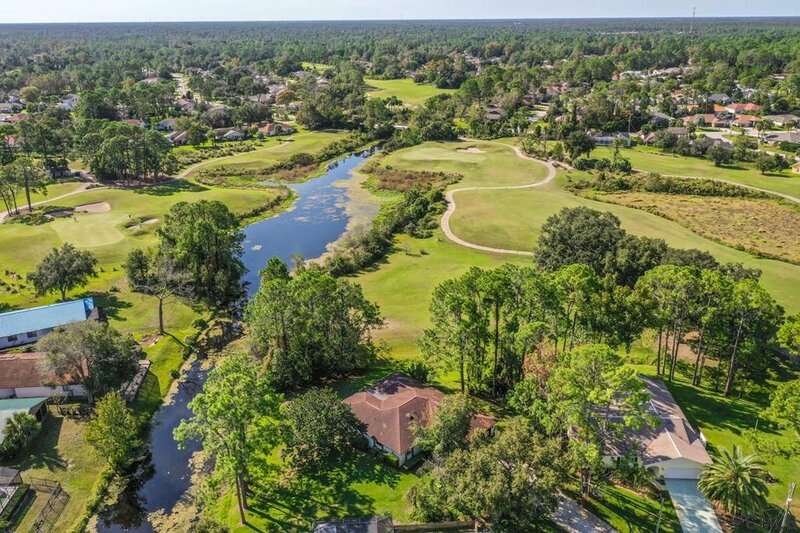 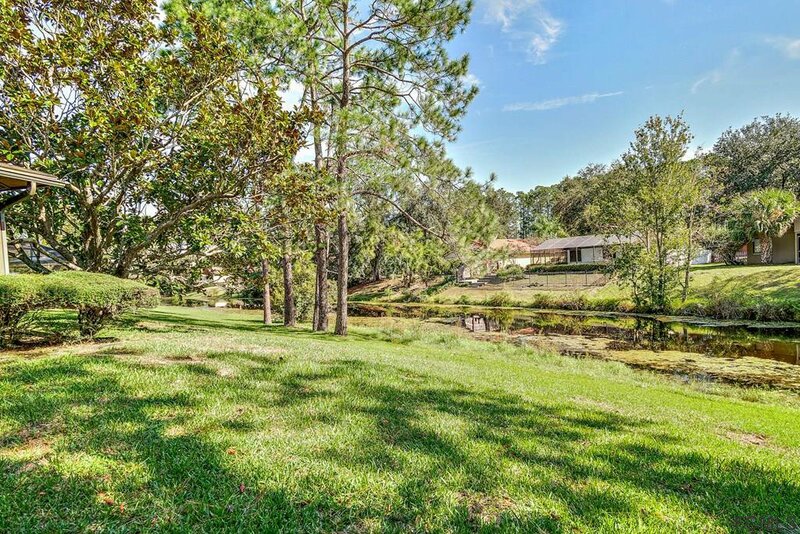 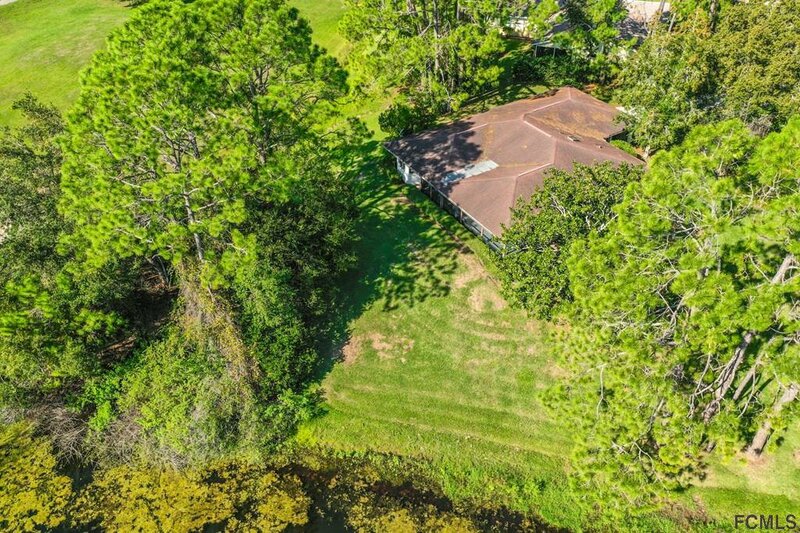 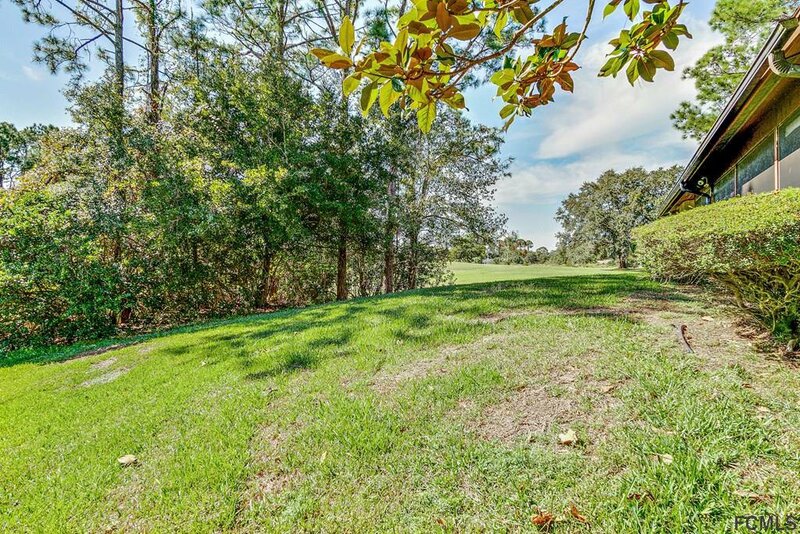 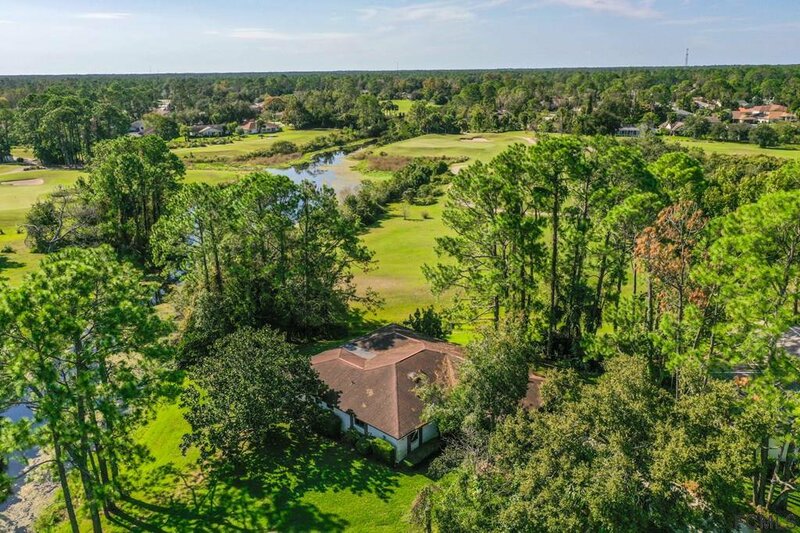 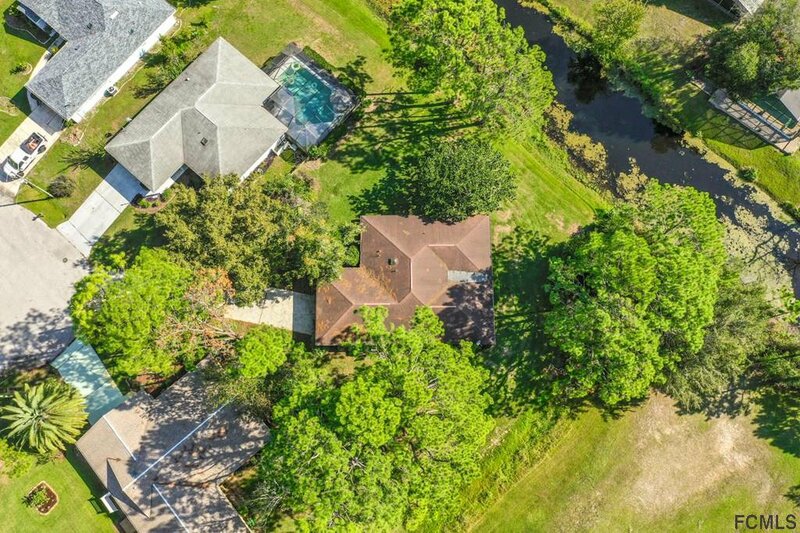 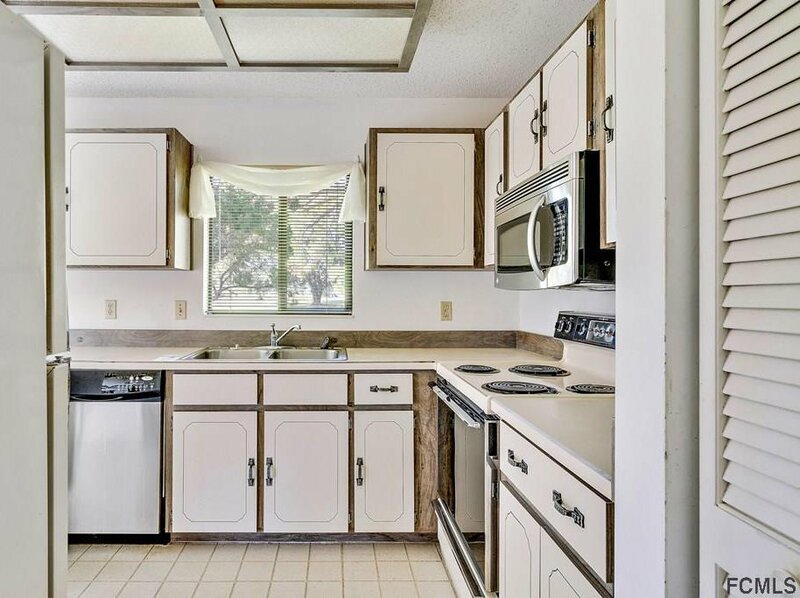 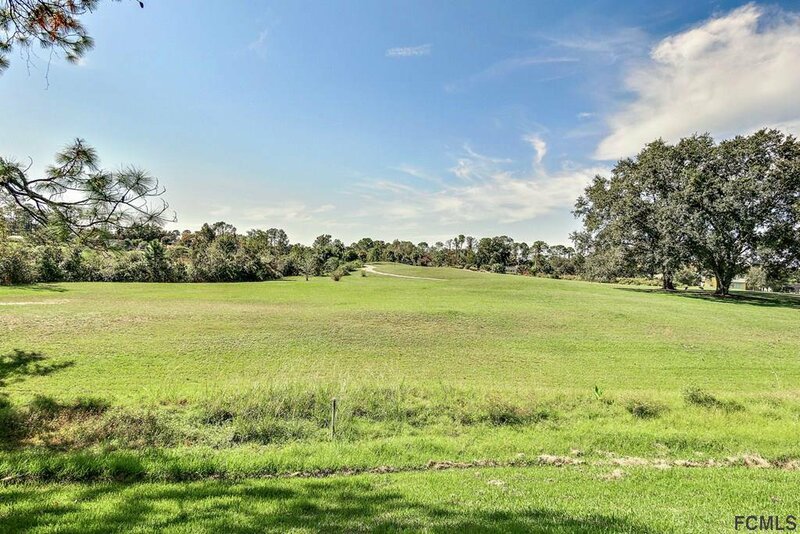 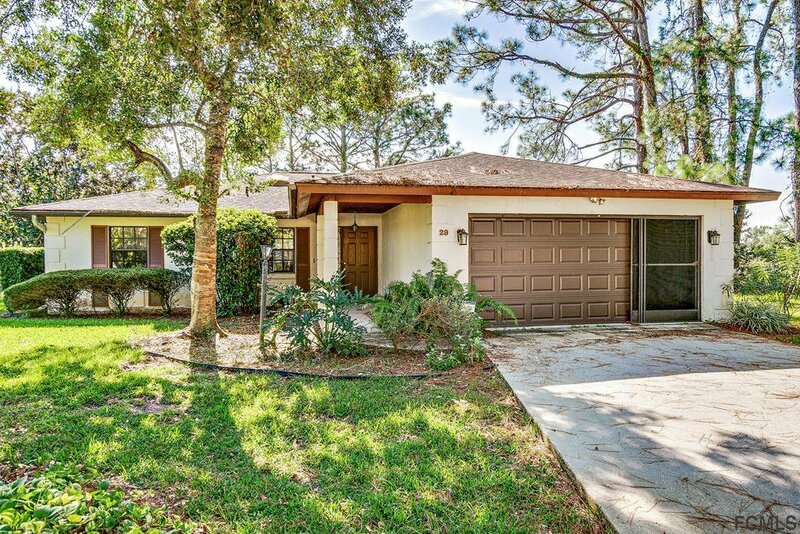 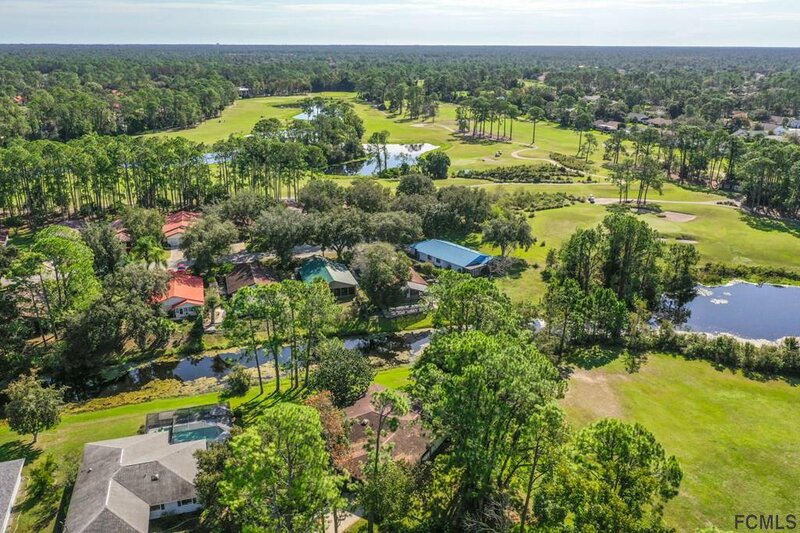 Palm Coast Paradise, this 3 bedroom 2 bath home sits at the end of a cul-de-sac high and dry overlooking the Pine Lakes Golf Course. 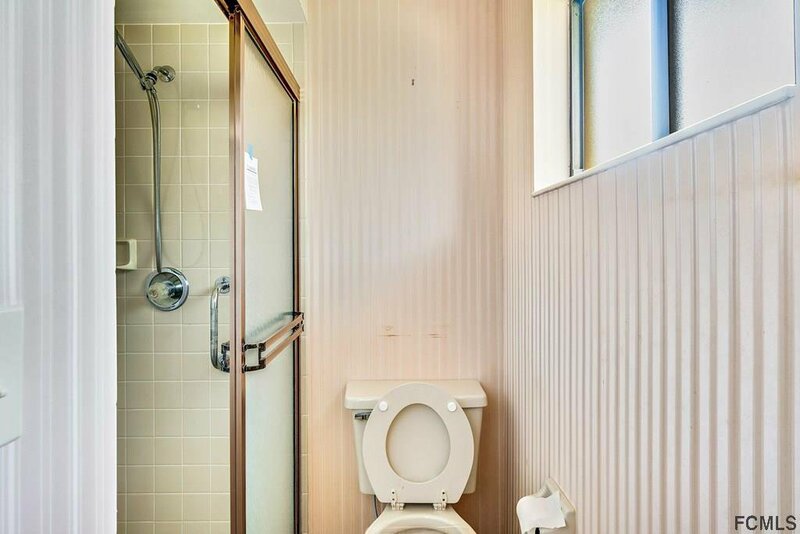 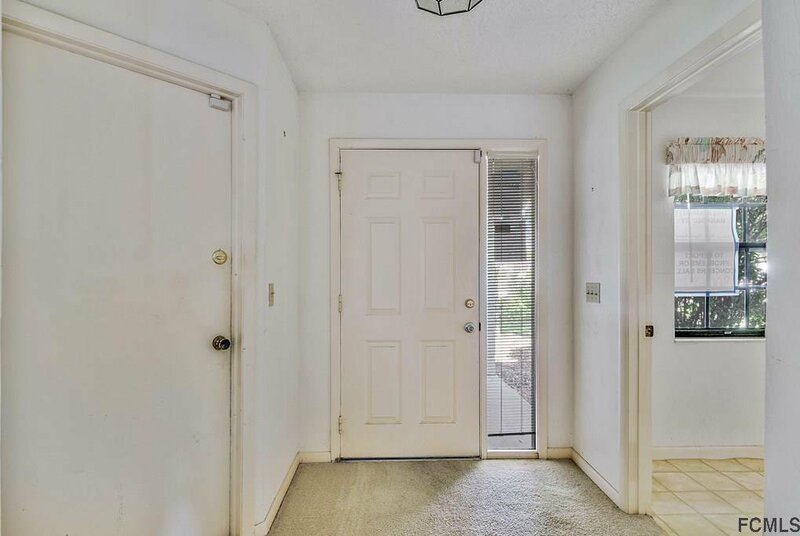 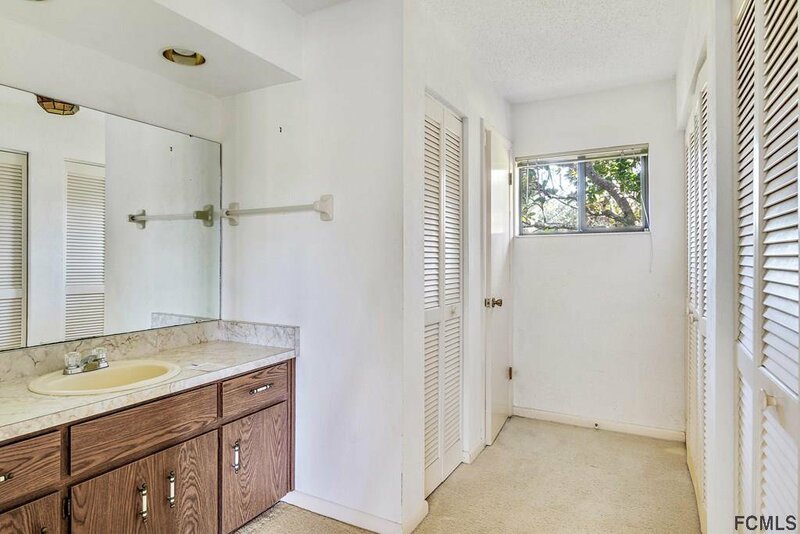 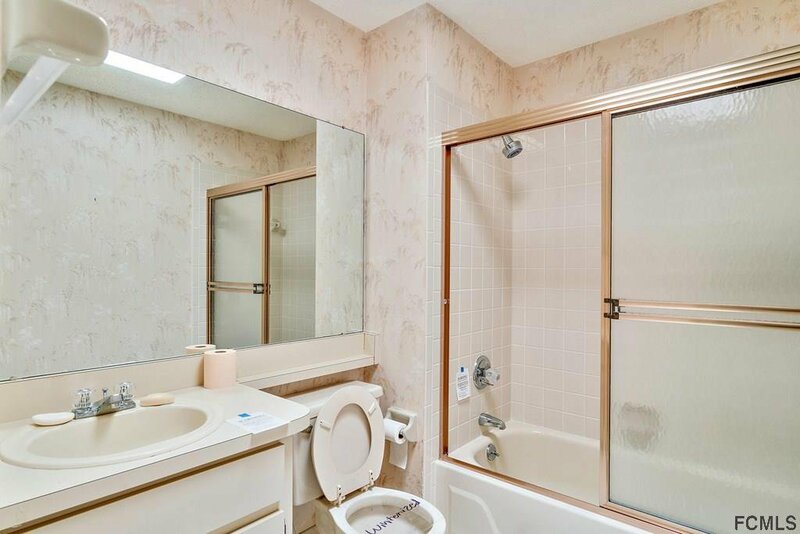 The oversized lot gives plenty of privacy. 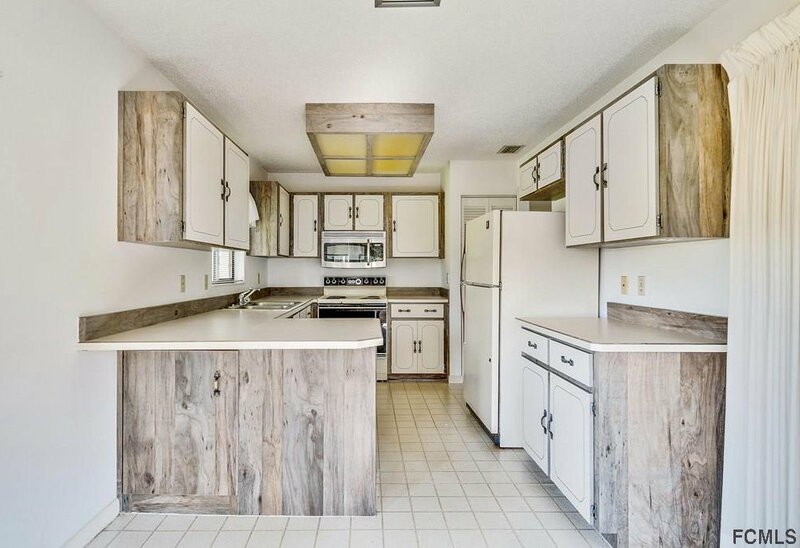 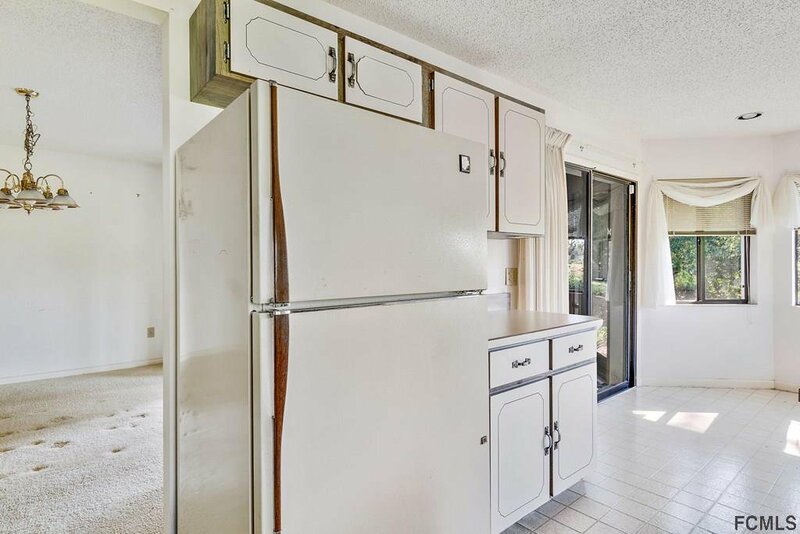 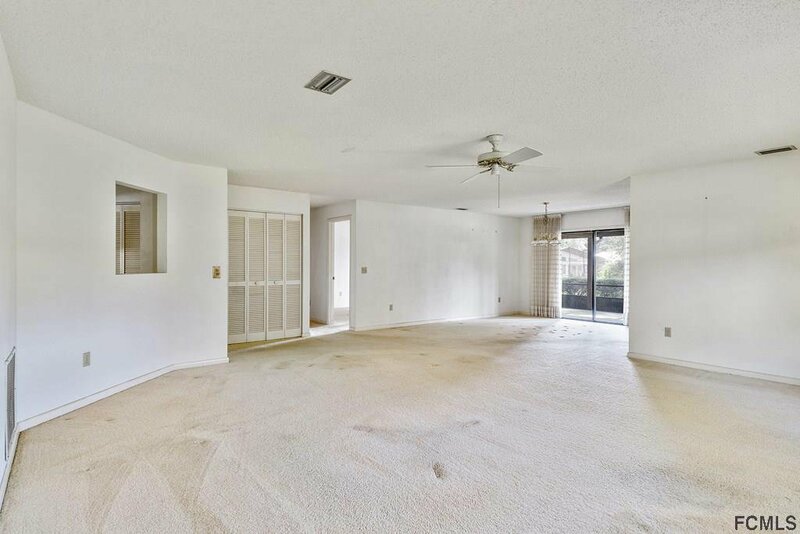 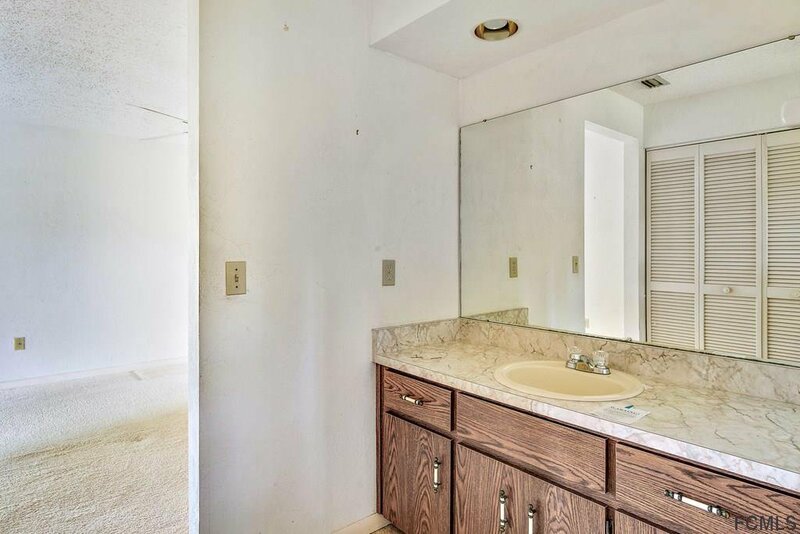 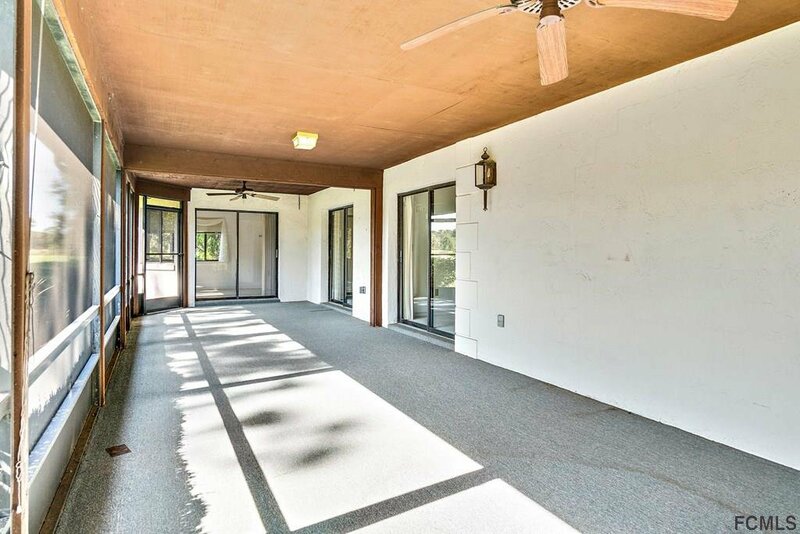 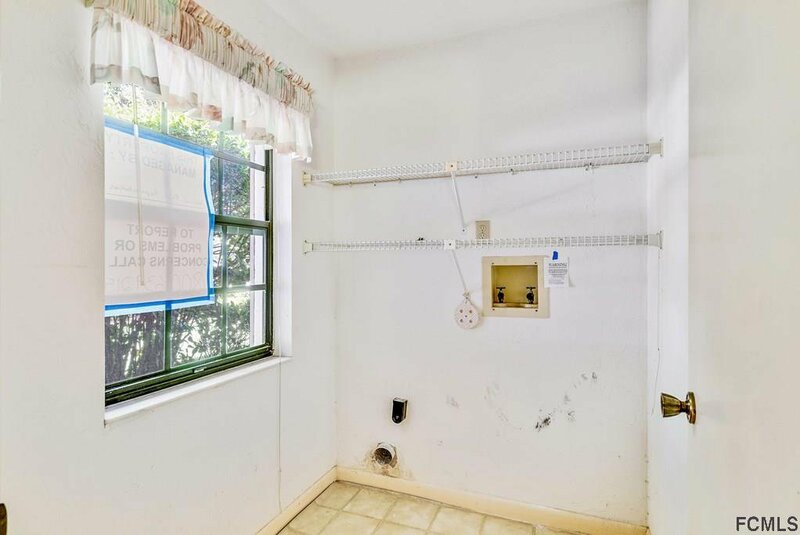 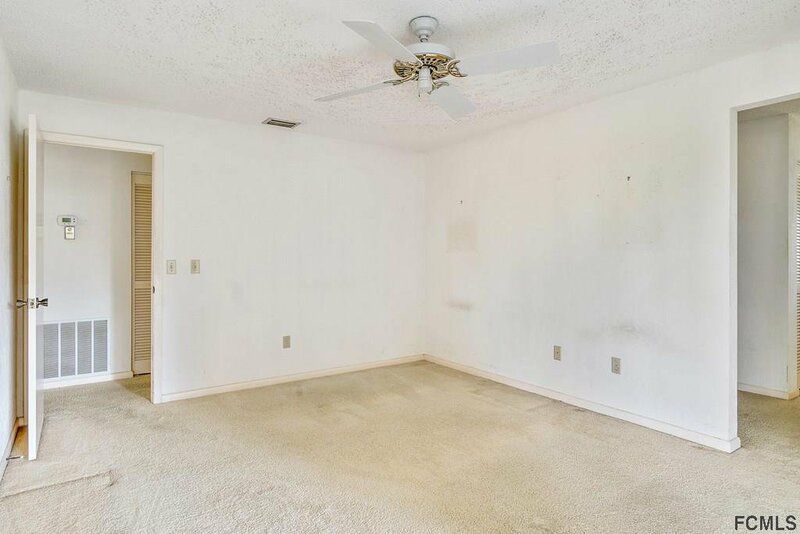 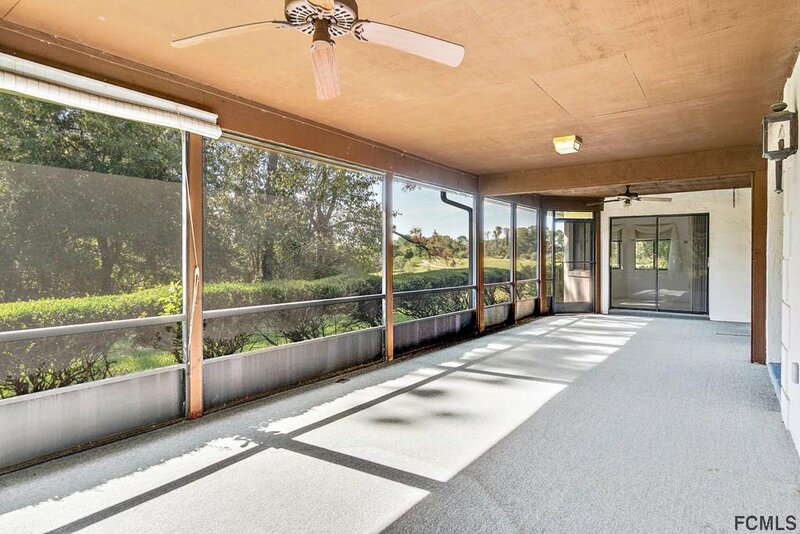 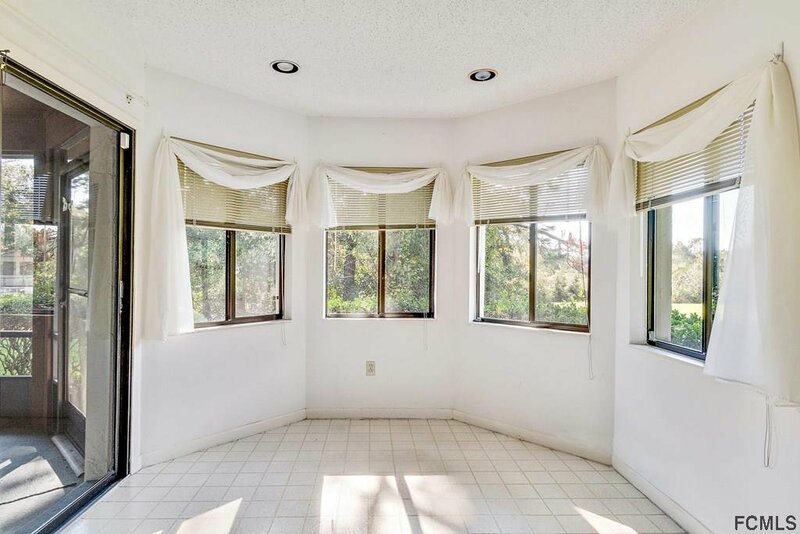 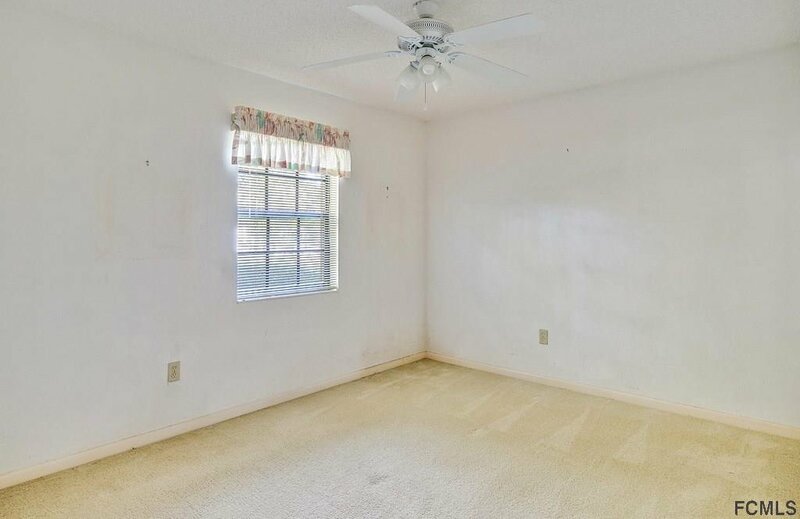 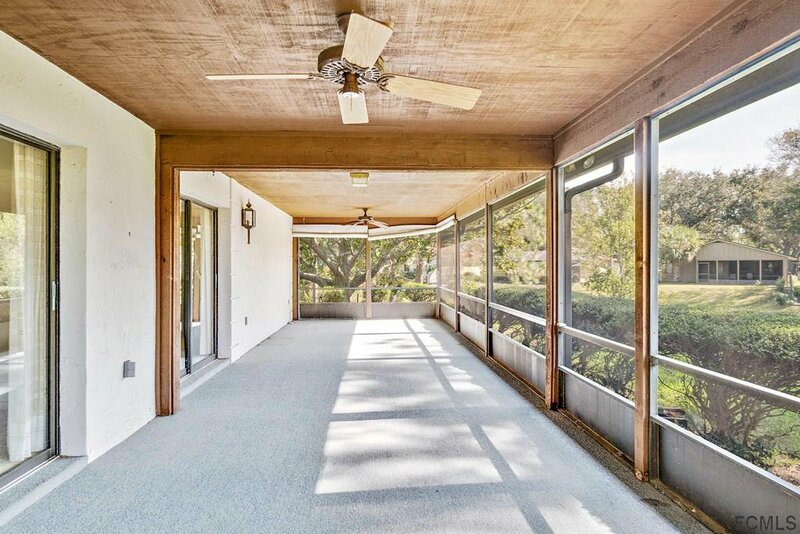 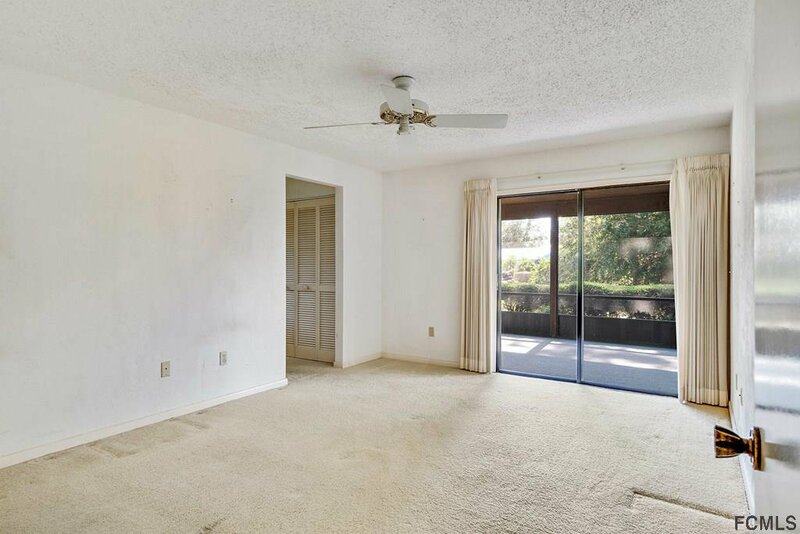 Home features a 2 car garage and an oversized Lanai. 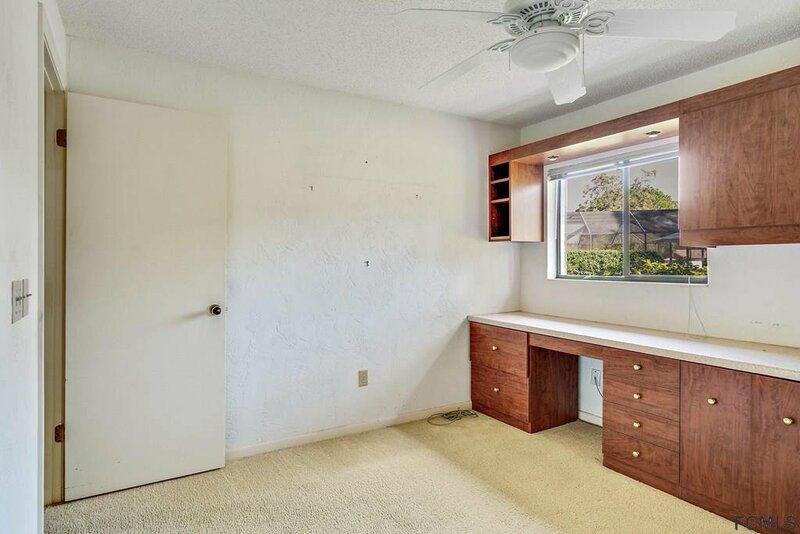 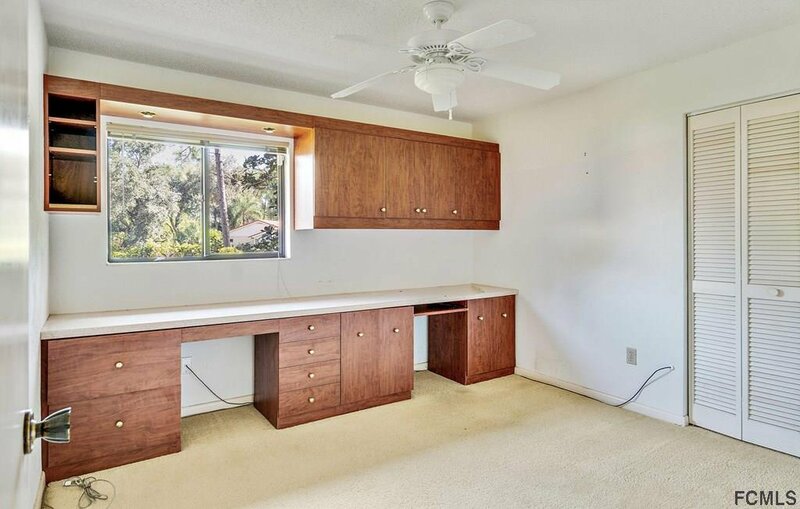 3rd bedroom features built-in desk convenient for a home office, student or hobbies. 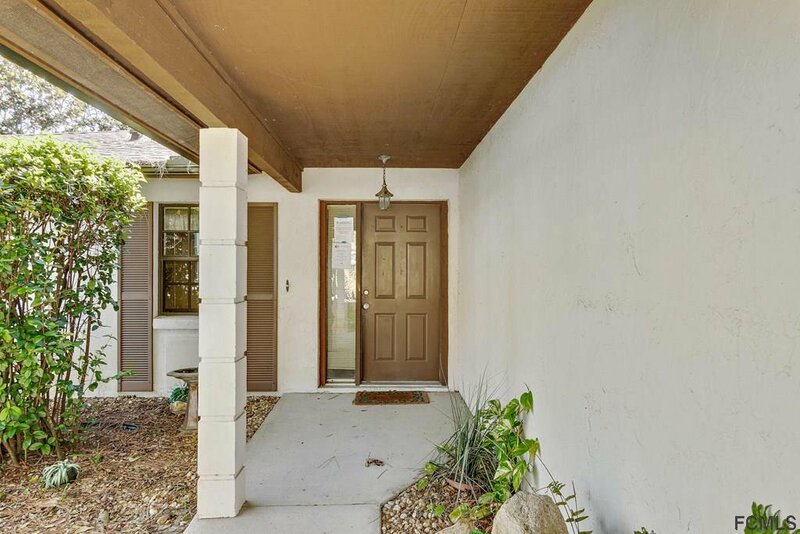 Front entrance is covered. 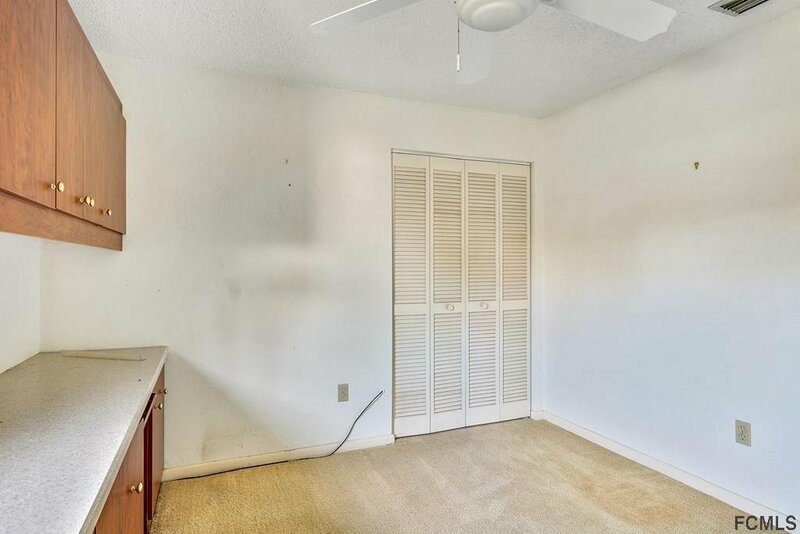 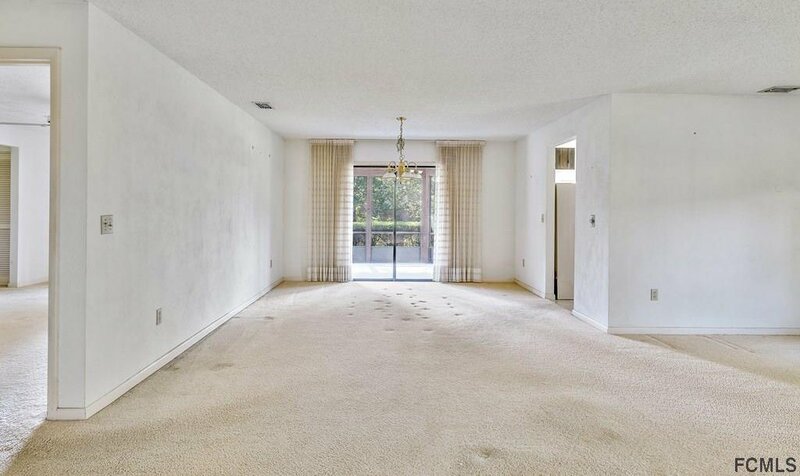 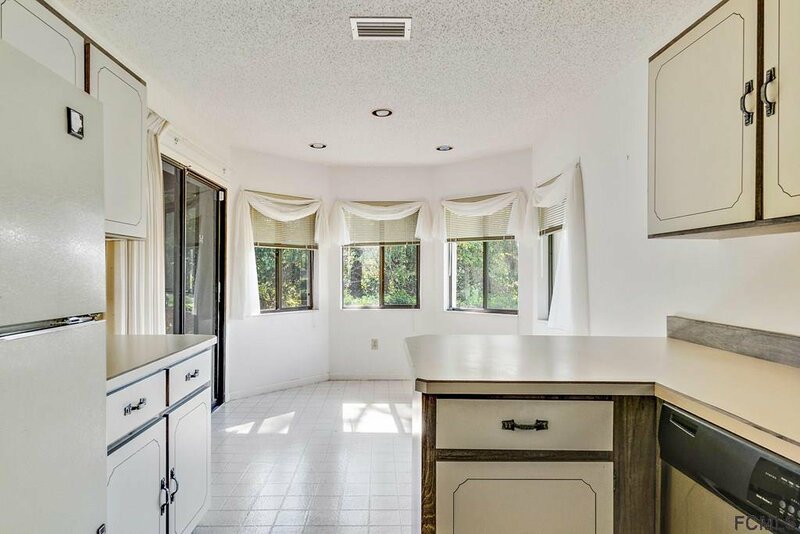 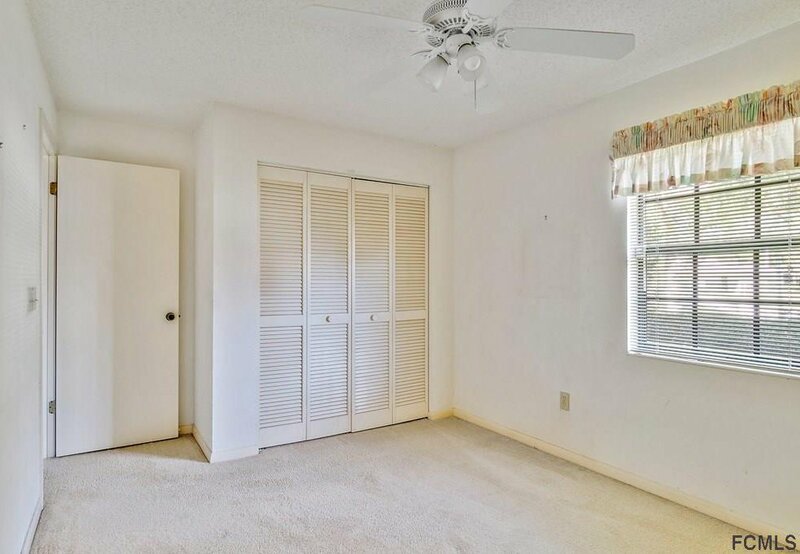 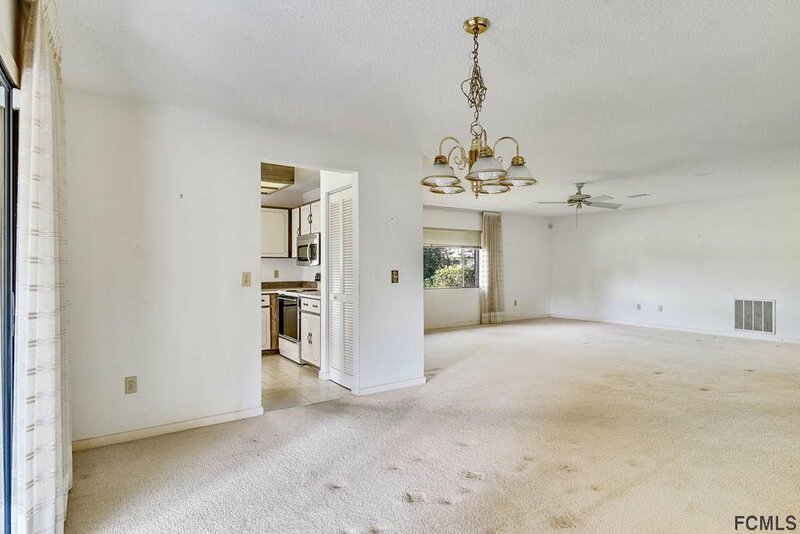 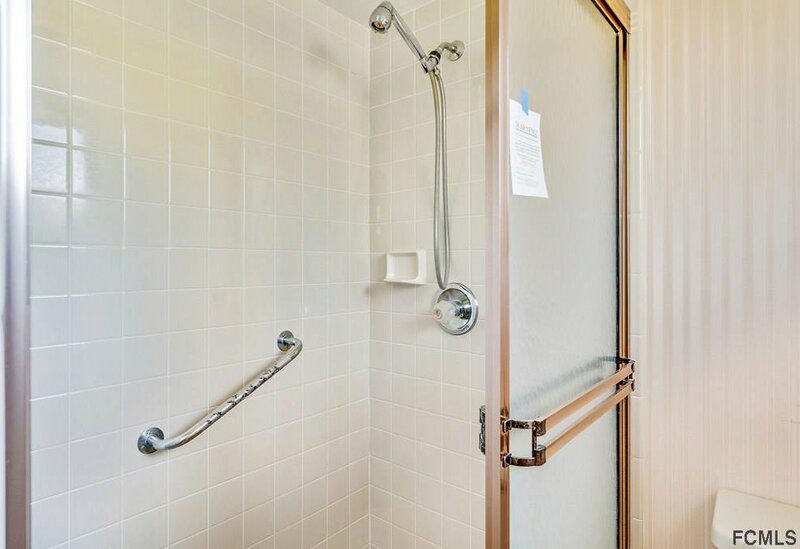 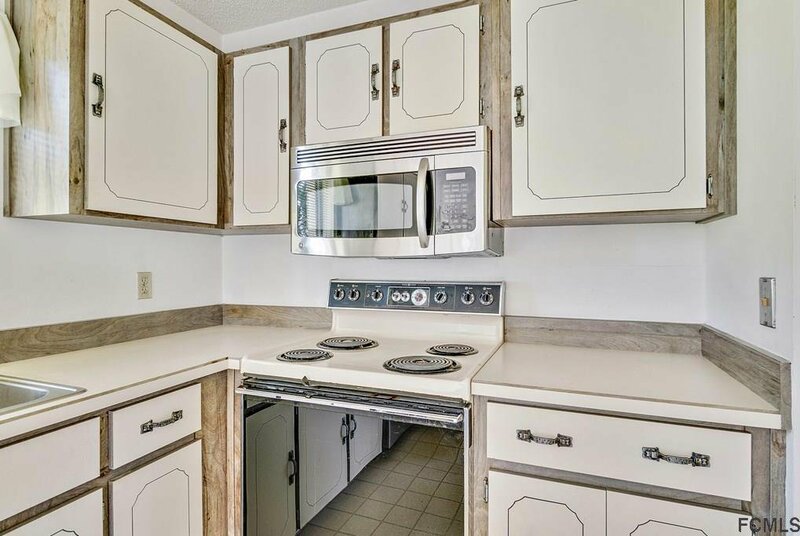 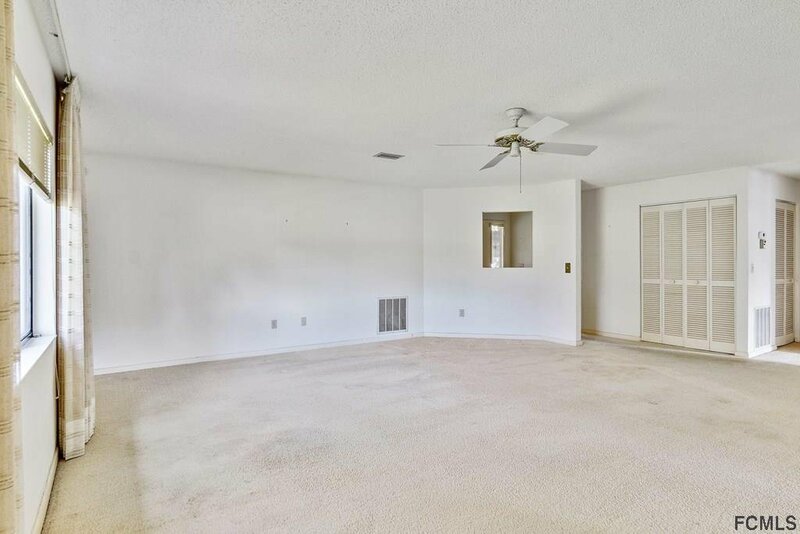 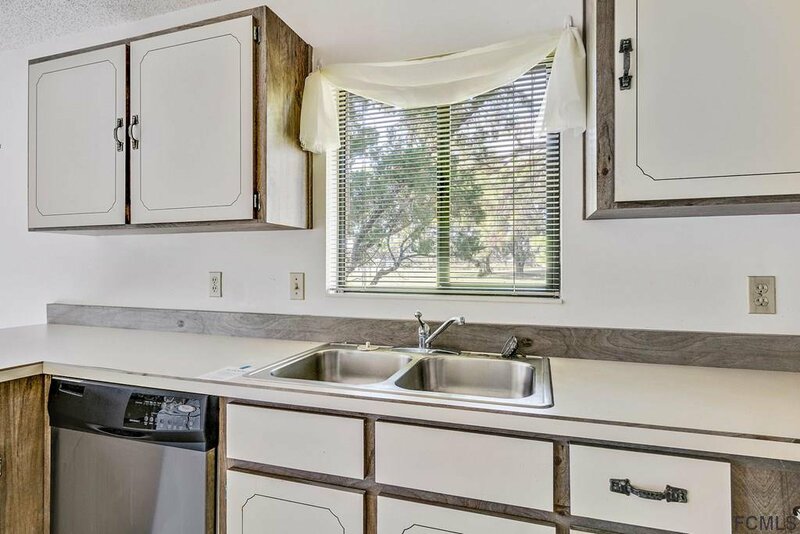 In-house laundry, formal dining, eating nook, and all the charm that Palm Coast has to offer at an affordable price. 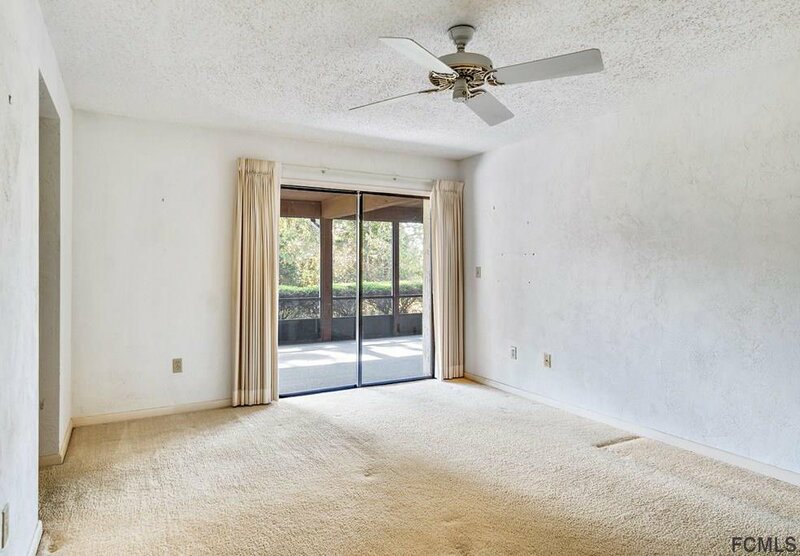 A/C was replaced in 2014.